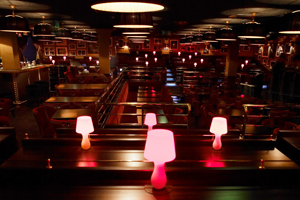 New venue consortium The Bourne Collection is launching with a preview being held at Ronnie Scott's jazz club this evening. The collection includes Ronnie Scott’s, South Bank bar and restaurant Waterloo Brasserie, the French-style Cheyne Walk Brasserie in Chelsea and Queens Ice & Bowl. A central website for the collection will launch later this month for the venues, which are owned by property management company Bourne Capital. The Bourne Collection event sales and marketing manager Valerie Brooks said: "Each of our venues will remain distinctive from one other. But we hope that they will now be more accessible for time pressed event buyers and agencies. It’s a really exciting time for us all and we look forward to working under this umbrella brand."